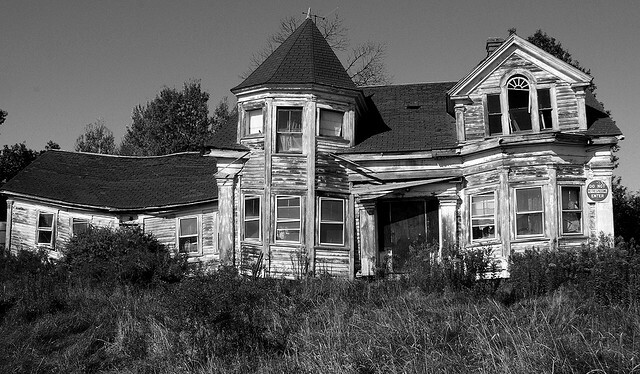 Describe a haunted house without people in it. What does it do in the meantime? Does it get bored? Do the spirits get impatient? This exercise will help you give character traits to something that is not entirely visible. a haunted house is a house that has spirits that lay in wait for the living to interact with and reak havoc upon once a person steps inside it’s door. It has your typical cold spots, sometimes hot spots. Doors can make a loud slow creaking sounds as they open or close, or may slam loudly and abruptly. Foul odors or the smell of stale perfume or cigars. The sound of footsteps and smokey shapes of thick grey smoke hover about. Black shadowy figures, hide behind doors awaiting an unsuspecting traveler who enters. Beware! because in this house there’s a wind, a wind so cold and so strong it will leave you feeling as if you are standing in the middle of a hurricane! and as you walk, you feel as if enter the door you get the feeling that you are wadding in a pool of icy cold air from your knees down. The wind, yes, maybe it’s just the wind.